One advantage to living overseas is learning new holidays, and taking advantage of the time off. Kurban Bayram is an Islamic holiday that commemorates Ibrahim’s willingness to sacrifice his son. During this festival, which lasts a whole week in Turkey, people head home to have plenty of family time. People who can afford it make the pilgrimage to Mecca at least once in their lifetime which ends in the sacrifice in commemoration of Ibrahim and Ishmael. For everyone though, the sacrifice is important. Families who can afford to sacrifice animals. They distribute meat to those who can’t afford it, their neighbors, and their family. For us, Bayram meant renting a car from a local family company and hitting the road. It’s our first time outside Ankara, so we decided to keep it simple. We left on a Sunday morning, heading out around noon, leaving Remi with a neighbor. 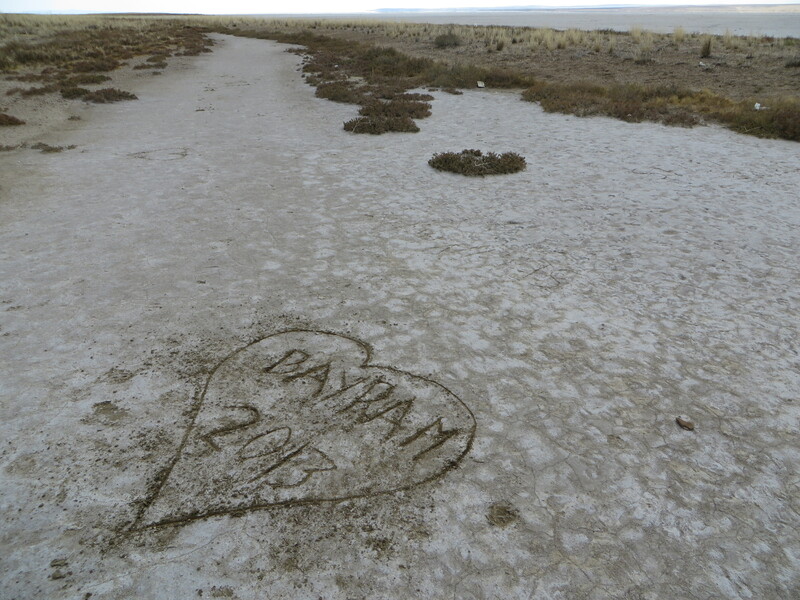 Our first stop was a dried salt lake about 25 miles south. At a roadside pull-off, we parked and walked out into the flats with many other families hiking. One family was even flying a kite. Typical of roadsides here (and in Korea when we were there), vendors sold melons and nuts and dried fruit. Free enterprise flourishes on the open road. A bit down the road we stopped for lunch in a small town just outside Nevsehir, where a friendly family cooked up some chicken doner and salad, and then it was on to one of the great highlights of Turkey and the world: Cappadocia. Carved from soft volcanic tuft, the Cappadocia valley covers about twenty square miles of central Turkey. Over the years erosion has carved out huge cones of soft rock that generations of humans have carved into churches and villages. Currently no one lives in the cave cities, though they are filled with shops and hotels. We stayed in the Guven cave hotel in Goreme. It was fabulous, very clean and romantic. All Monday, we walked up the Cappadocian valleys. We found orchards filled with apples and grapes, quince, plums, and pears. We found a kind couple selling some of the sweetest dried fruit we’ve ever had – we bought a mixed box for 2.50 tl (about US 1.25). Later, there was a small cafe in the valley where we rested with a glass of wine. Then we hiked up into one of the churches carved into the mountainside. These churches were built during the Byzantine era; some have beautiful frescoes painted into the walls and domes. I have no idea how these churches functioned, being so remote and relatively hard to access, but they are an amazing accomplishment. 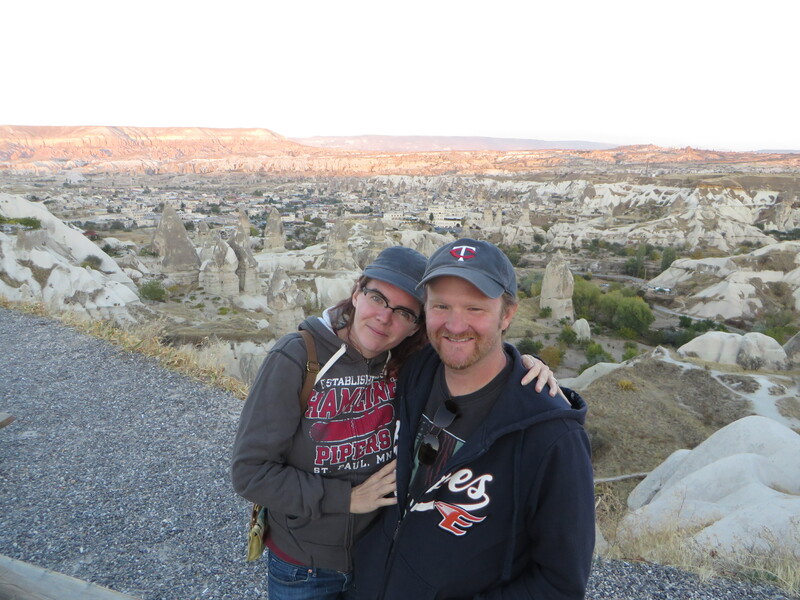 We left Goreme and headed out to Konya on Tuesday morning. Along the way we stopped at a small city that has an amazing wealth of well preserved, functioning architecture from the 1,100’s, Nigde. This was Akasha’s favorite spot. 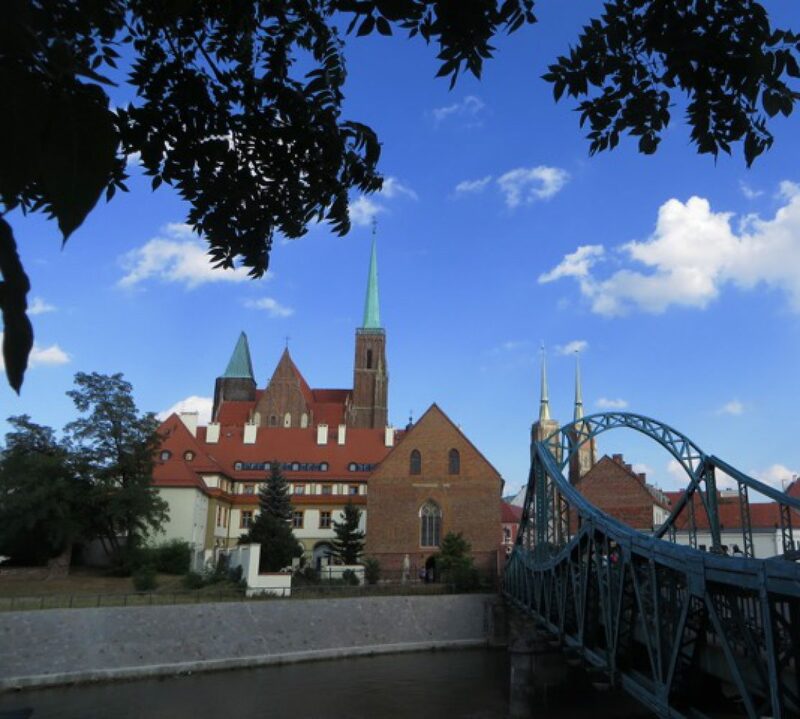 There was no sign of tourism, the town is beautiful and the people were so warm and kind. We were taking a picture of an amazing Seljuk home when the owner, Bekir, came out. He didn’t speak English, but he spoke slow, patient Turkish and offered to take us on a tour of Seljuk buildings, especially mosques. He took us to his mosque and introduced us to his imam, Yusuf. Yusuf spoke English and explained various features of a typical mosque and told us what we should see in the region. 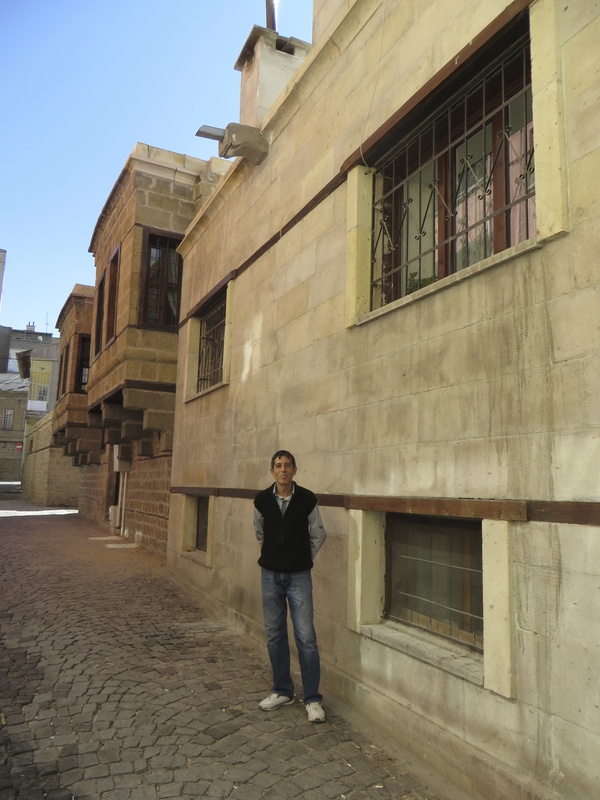 Bekir took us to the Aladin Mosque and the Hittite castle that dates back to 8 B.C. It was a major holiday and most of the castle was closed, but they opened it up and showed us around. It gets very cold here in the winter and many people come to the castle to socialize and keep warm. Ali showed us the brazer that they fill with coals to keep everyone warm and the cafeteria where folks hang out. A soldier on military duty joined us and translated for a bit. I think we were all exhausted after an hour of speaking Turkish or speaking to foreigners with limited Turkish. Everyone was so warm and kind, we were sad to leave. We went on to Konya. In the 13th century, Konya was home to the Sufi mystic known in the west as Rumi. He was also a poet and philosopher, and is credited for founding the mevlevi order, also known as the whirling dervishes. His tomb, which also houses the Mevlani museum, is near the center of town. Konya remains one of the most religious cities in Turkey, and you can feel this when you walk down the street. 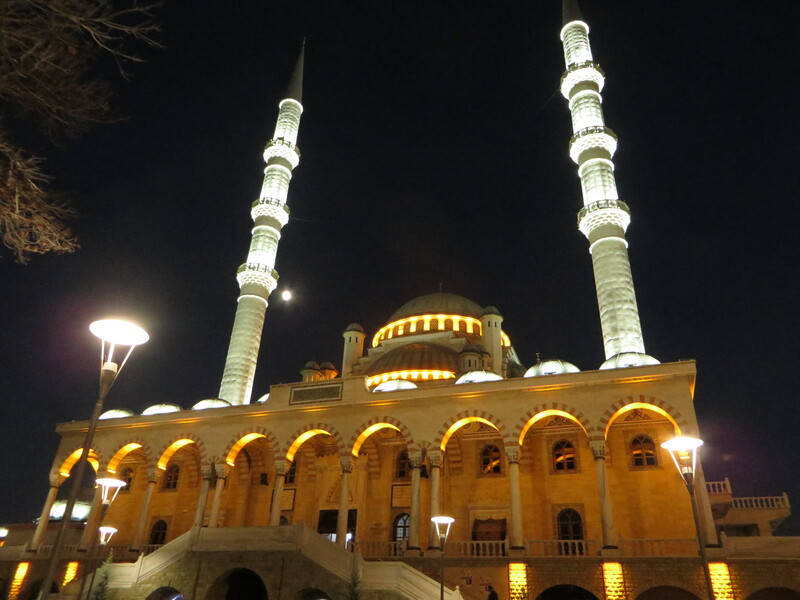 We spent an evening strolling down to and around the Aladin hill, exploring side streets and passing mosque after mosque, hearing calls to prayer that went on for minutes. 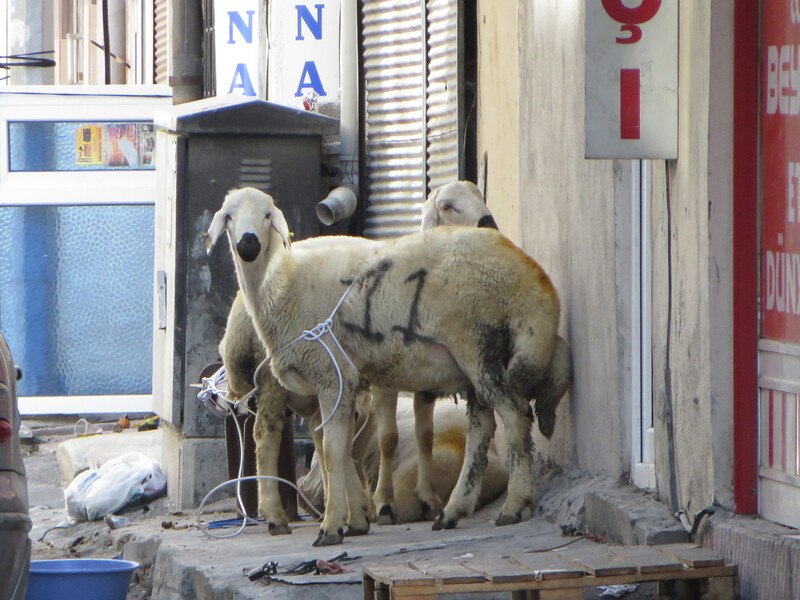 You could also see evidence (as in, remains) of the lambs and cows sacrificed for the ceremony on many street corners, or being wheeled down the street in carts. We can say Konya is a beautiful city, but unfortunately our dog sitter got sick, so we had to cut our visit short and head back to Ankara the next morning. We never got to the museum, but we got to see Remi a day early, and we still had a car. So: day trip! The next day, we went out to another great historical sight, the tomb of (not mythical) King Midas. Minnesota has a beautiful history and many great locations to explore. Some have a long history, but nothing like this. It seems like, if you keep your eyes open you will see history everywhere you look here. 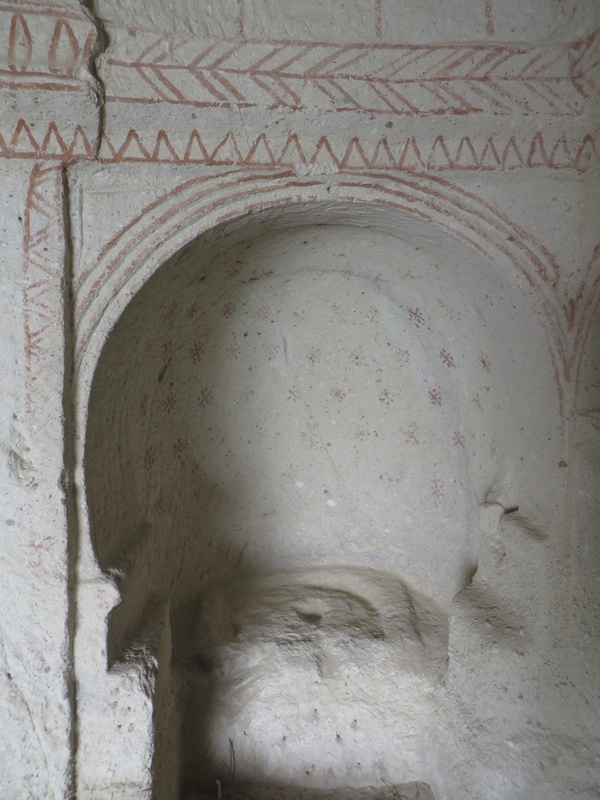 The Midas tomb is an hour from Ankara, near the current town of Polatli. His tomb was built in 670 BC as a tribute to the Phrygian king immortalized by legend as the king with the ‘golden touch.’ It seems he survived that curse and lived a long life, dying after a war. When they opened his tomb they found evidence of a huge feast that was held there. It’s a log cabin that was filled with relics from his life, and his body, and then covered in a 50 foot mound called a tumulus. There are dozens of these mounds in the Gordia region, but Midas’s is the largest. 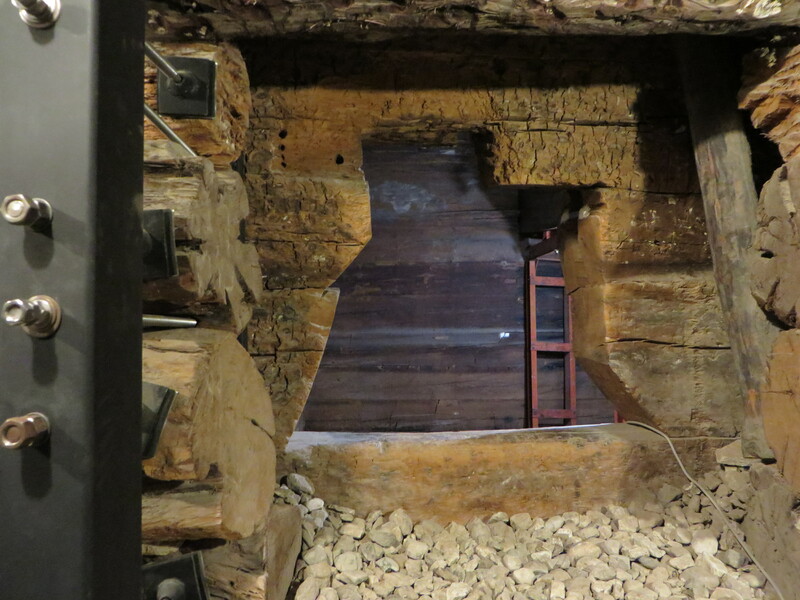 It lay undisturbed for thousands of years before being excavated in the 1950’s. It was sobering to walk down the long narrow tunnel, perhaps a hundred yards long, that led deep into the heart of the mound. There we saw the tomb itself, made of ancient logs still a deep rich red, and the chamber that used to hold the King’s remains. The museum nearby holds many items from the region, which was an important crossroads for hundreds of years and several empires, from the Phrygians to the Romans, the Byzantines and Ottomans. Turkey has seen it all. with history, but they did so much in wood that burned in the many invasions and wars they have suffered. Here, the stone construction has endured. One exhibit at Gordia showed an ancient mosaic tile floor a local villager found while working on the foundation for his house. You can’t dig ten feet without finding history here, it seems. 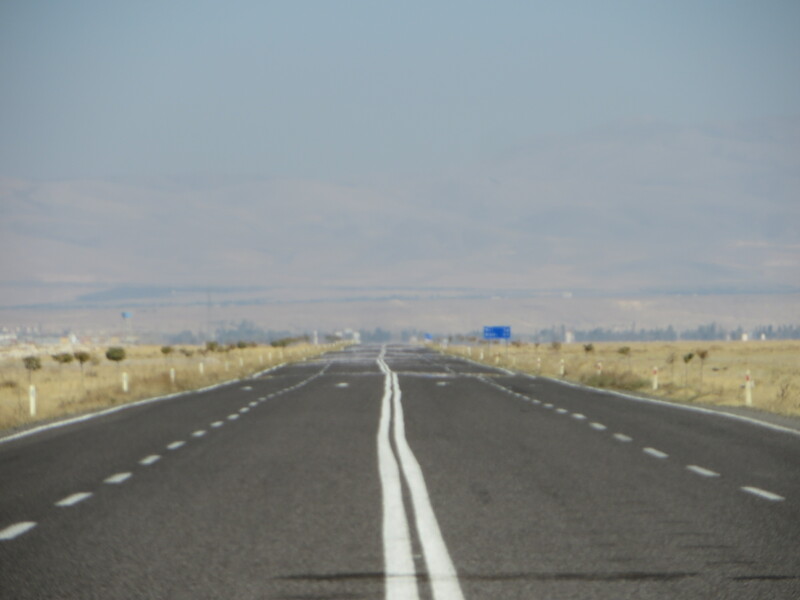 One other thing that struck us was how much central Anatolia reminds us of home. We could have been driving in Western Minnesota or the Dakotas. It was beautiful to see the golden rolling hills, farms, and fields. It made us miss Minnesota. Here is a gallery with a bit more of our tip.